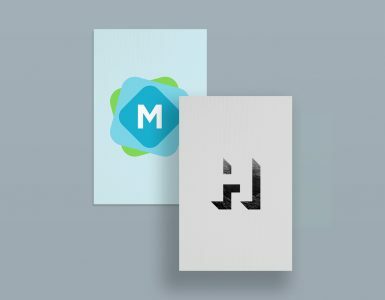 A branding mockup with a difference, this one has a softer and more personal feel. 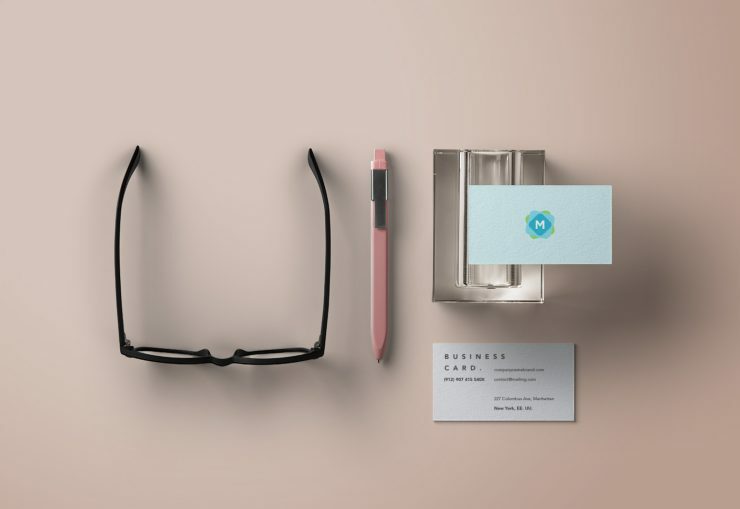 It features two business cards (for the front and back of your design), next to a pair of designer glasses, and a pen. 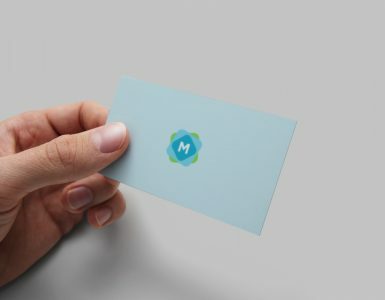 Both business cards have a soft, textured paper applied to them (giving your design a sense of realism). 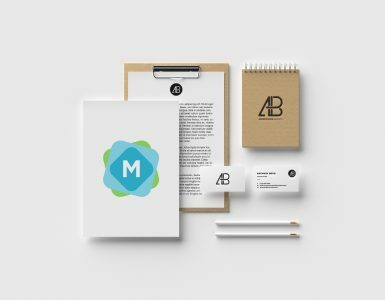 Perfect for showcasing the branding of a fashion, design, makeup, or clothing organization.